Some say the Hodag is the fiercest, strangest, most terrifying monster ever to set razor-sharp claws on this earth. Others describe the Hodag as a reclusive woodland creature, misunderstood by many and only wanting to be left alone in the woodland paradise that is the Rhinelander Area. No one really knows for certain, but for the people of Hodag Country, he’s as real as the towering pines and the crystal clear lakes that encompass the area. While it’s hard to put a finger on the exact nature of the actual Hodag, we do have a very accurate history of the legends surrounding the fabled beast. In 1896, Rhinelander pioneer and timber cruiser Eugene “Gene” Shepard claimed to have snapped a picture of a ferocious monster just before the beast sprang on him from a white pine log. The camera caught the most horrible sight: a hairy animal seven feet long and thirty inches tall, with white horns, menacing tusks, vise-like jaws and sharp claws. Not surprisingly, Shepard later admitted that the Hodag was something of a hoax, and that the beast in the photograph was really just made of wood and ox hides, bull horns and steel. But for Rhinelander residents, the Hodag is no hoax. 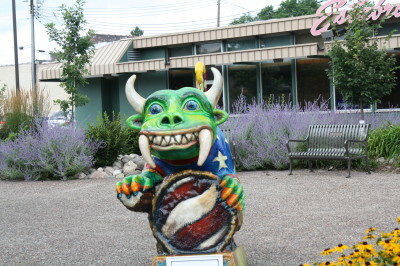 A larger-than-life representation of the fierce beast can be found outside the Rhinelander Area Chamber of Commerce office at 450 W. Kemp Street. Hodags come in many sizes and they like to try to camouflage themselves by wearing various disguises. Thanks to Downtown Rhinelander Inc.'s Hodags on Parade initiative there are many hand painted statues located at different businesses and locations around Rhinelander. 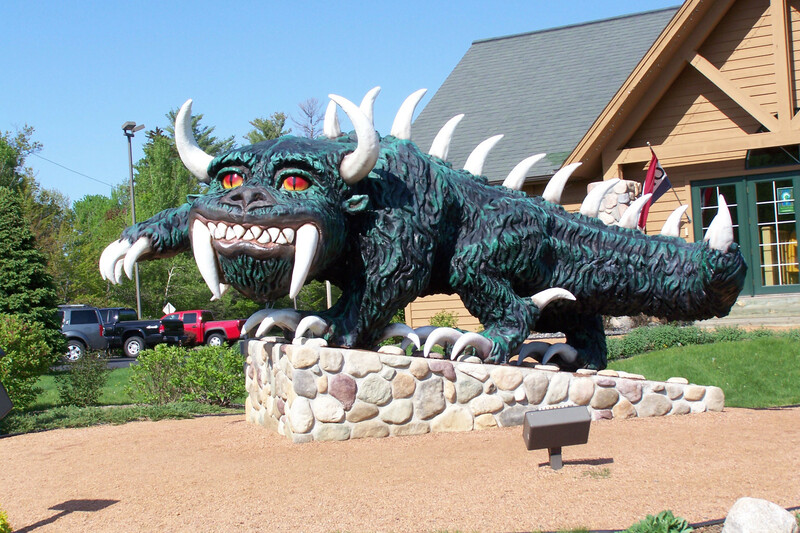 If you would like to go Hodag hunting - check out the list of known statue locations.